James Marsden just snatched up his third California house, and the mid-century home is a beauty. 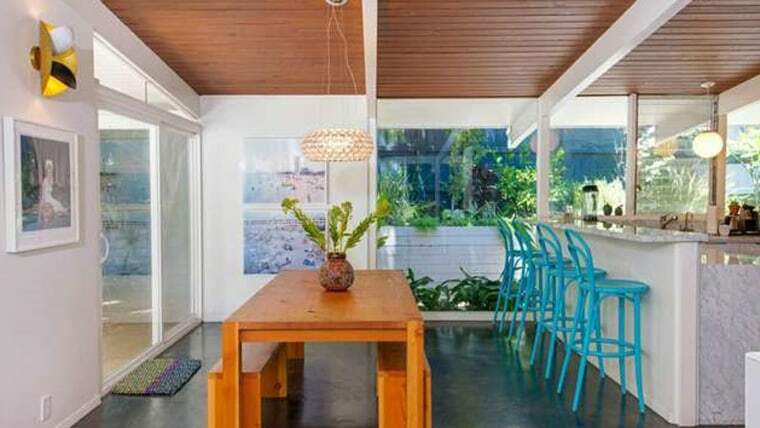 The “X-Men” and “30 Rock” actor paid $1.83 million for the Hollywood Hills residence. Walking in the door, you’d never guess the home went into foreclosure in 2009. The post-and-beam construction is full of “Mad Men” style with sleek furnishings, floor-to-ceiling windows and a poolside patio for outdoor entertaining. Built in 1959, the house was originally designed by Edward H. Fickett, an architectural adviser to President Eisenhower and housing consultant to the federal government. But the interior restoration can be credited to the seller, TenOverSix boutique owner Kristen Lee. She and her husband updated the kitchen and lighting and filled the four-bedroom, three-bath home with style. Stephen Parisi of Deasy/Penner & Partners held the listing.